I recently turned 53 . . . it seems strange to type this and then see those words! 53??!!! Well, in all honesty, those words don't make me feel as old as I feel when I think the following . . . "I remember back when I was a kid how people seemed to have a better sense of values." Well, that did it. Now I feel old! Feeling old or not, when I look at the world around me I really do think people had a better sense of values when I was a kid. There at least seemed to be a sense of right and wrong and now people insist whatever anyone decides is right for them, is perfectly fine. They do not want to look to God's Word for the standard to determine right and wrong.When I look at the world my grandsons will grow up in, I feel concerned. Since I'm looking at books for Summer reading, I thought I'd take a moment and recommend a few books for grandma - or grandpa, mom or dad! The first one is for grandma as it is the Grandma's Bible. One of my favorite devotionals in this Bible is about Jael. Are you saying, "Who was Jael?" I wouldn't be surprised if you do! Jael isn't one of the top ten most familiar women in the Bible! I wrote about her in my "Unknown Bible Hero" series of books for children and before I wrote about her, I really didn't know very much about her. Jael was an amazing woman. She knew what she believed . . . and more importantly, she knew Who she believed in! She chose to stand for what was right and she took action at a time when others - including her husband chose to take the "safe" route and align themselves with those who didn't look to God for the standard for their life. Jael's choice to stand and take action brought safety and peace to the Israelites for 40 years. You can read about her in Judges 4 and 5. I especially appreciate the "Grandchild in focus prayers"; look at this one . . . "O Sovereign Lord, the world surrounds my grandchild, pressing in and tempting him in so many ways. Help him set appropriate limits. Give him sound judgement to choose wisely. Guard him from temptations; protect him from physical and mental predators; lead him into paths of righteousness and light. And reassure me with Your promise You are holding him in Your hands. Amen." Have I mentioned I absolutely love my Grandmother's Bible and how it helps me focus my prayers for my grandsons! I want to share with you a couple book reviews . . . books which will help you stay grounded in God's Word because it is only in God's Word where we can find the true standards for our lives and the strength to point our grandchildren to God. comforting, challenging, encouraging, powerful readings - this little book is sure to become a much read book for all who have it! Thomas Nelson/J Countryman says; "In today's world it can be difficult to feel safe and secure. Max Lucado offers a 30-day devotional as a reliable source of safety and security from the 23rd Psalm. He describes this psalm as 'written by a shepherd who became a king--because He wanted us to know about a King who became a shepherd.' With Psalm 23 as our guide, we can release our burdens, throw off our fears, and rest safely in the Shepherd's arms." I cannot recommend this book highly enough! Please consider giving one to each person in your life who you care about and keep one for yourself - it is of the caliber to read each day - continually making your way through the book and then starting over again! Tremendously well done Max and J. Countryman! I also highly recommend the book . . .
Broadman & Holman says; "When God appeared to a ninety year-old Abram, He said 'I am God Almighty.' The Hebrew phrase is literally El-Shaddai, or God the Enough. God would reveal to Abram and Sarai 'when it comes to bringing His purposes to pass, the Almighty needs no help from His creatures. He is enough.' The readings in this volume include 49 devotionals, with each including a pertinent Bible passage, Selwyn Hughes' own notes and commentary, and a prayer for daily meditation." This is truly one of the best devotionals I have had the opportunity to enjoy! 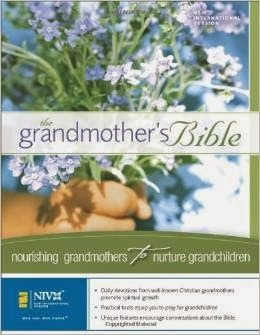 You will find this book one which enables you to grow in your walk with God as you come to see Him as truly "Enough"! Tremendously well done Selwyn and Broadman & Holman!